Porsche 996 Turbo - What A Way To Travel! 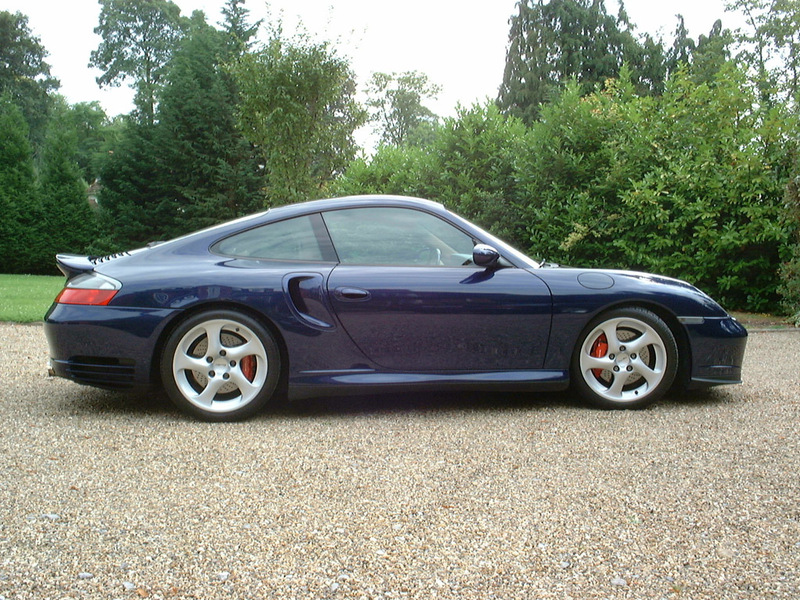 Home » Porsche 996 Turbo – What A Way To Travel! Just a little over a year ago I had the pleasure of taking the Porsche 996 Turbo on a 1,500 mile trek. Boy I gotta tell you, “what a way to travel!” If you really would like to take a trip in luxury this is definitely the way to go. Before you know it, the miles have flown by. I’ve driven many Porsches over the years but this is one is extremely smooth and extremely comfortable allowing one to continuously drive for miles and miles without stopping for a break. Your body doesn’t begin to ache and your car doesn’t miss a beat. This is a car that is quiet and refined even when you are cruising down the road at 175 mph. I might add this isn’t recommended for anyone who’s not experienced or on a road that allows these speeds. Whether you are traveling on the straight and narrow or covering those twisty windy roads the 996 hugs the road and just keeps on moving. This is a car that lets you do absolutely anything with it while maintaining a true feeling of security. You get superior everything – steering, brakes, motor, and upholstery to name just a few. This is one awesome piece of machinery! The 996 is a sports car through and through. And although based off the Carrera platform it has undergone substantial changes. Choose from a couple or cabriolet in either rear wheel drive or all wheel drive, complete with 3.4 liter engine. The 996 has a fully water cooled engine, sleeker body, a steeply raked windshield, low noise, and a completely redesigned interior which makes it by all intensive purposes an entirely new car than the Carreras which is the platform for it. This is a car with 415 bhp which means it can do 0 to 60 mph in an impressive 3.9 seconds. The 3.6 liter twin turbo engine is very impressive! And that was just the performance of the first engine. 2002 saw the horsepower increase to 450. And then along came the GT variants. A little more light weight it was based on the RWD Carrera but the stripped down version which made it much lighter. In 2004 this car did 0 to 60 seconds in 4 seconds flat. It was followed by a whopping 477 hp that could do 0 to 60 mph in 3.6 seconds. There was also a special edition introduced in 2000 when the 911 Millennium version was released. This special edition had a violet chrome flair paint finish that stood out and beautiful leather interior with dark maple trim. It was available with an optional 6 speed manual shift. This special edition release was limited in numbers. Once you have driven the Porsche 996 Turbo you’ll instantly know what I’m talking about. Porsche produces a wonderful line of cars but the 996 is simply a step above the rest and you’ll be wondering why you didn’t find this gem earlier. It’s the only way to travel!